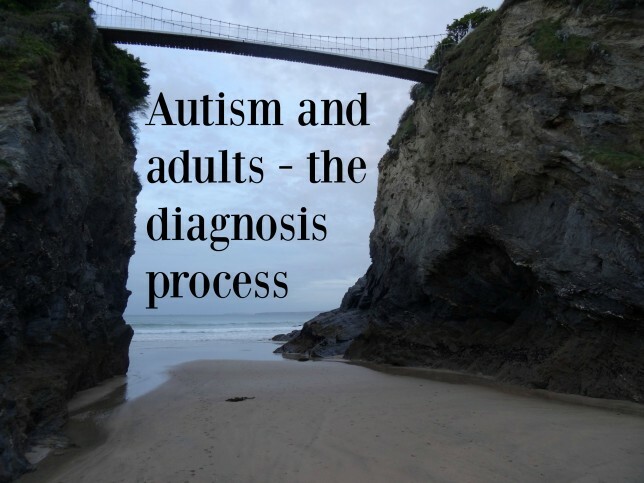 Since getting my diagnosis of high functioning autistic spectrum disorder in June I’ve been asked about the process of getting a diagnosis as an adult. So in this post I’m exploring the diagnostic process for an adult who suspects that they may have autism. I realised that I’m autistic because my son was diagnosed before me. This meant I had already done a fair amount of research into autistic spectrum disorder. Researching autism prompted me to look at myself and consider autism as an explanation for my lifelong difficulties. I also then started to look at autism in women, and the differences in gender presentation. Once I started doing that it became clear that this possibility was worth pursuing. I became informed about autism and this made it easier for me to explain my difficulties to professionals. Some people choose to get a diagnostic appointment privately. For those who wish to pursue diagnosis via the NHS the first port of call is the G.P. I made a list of my traits, and difficulties and specifically how they apply to the autism triad of impairments. This made it easier for me to explain to the G.P. the reasons behind my suspicions. For example my difficulties making eye contact, understanding peoples intentions and coping with change. I also found out who my local adult autism diagnostic services where so that I could ask specifically for a referral to them. I did this because often G.P.’s first refer to mental health services, which can delay the process or lead to misdiagnosis. Luckily the G.P listened, and was happy to make the referral. I’m aware I was lucky and that sometimes G.P’s are less sympathetic. If this is the case for you then I would keep pursuing the referral (potentially trying different G.P’s within the practise) until someone listens to you and makes the referral. Unfortunately it is reported that people are waiting for a long time to get an appointment with the appropriate diagnostic team. The National Autistic Society are campaigning to improve waiting times, visit here for more information. I received a letter explaining that I was on a waiting list and would be allocated an appointment and informed when available. This was very difficult for me. I have three children to care for and my issues affect my day to day life significantly. Also being obsessive I would have been getting very anxious around the post delivery every day waiting for this letter. So I rang them up, explained that I tried all the traditional mental health routes for support, and explained my difficulties. I told them that even if the appointment was far in the future it would be better to have it scheduled in than deal with uncertainty. Luckily the local team where sympathetic and managed to schedule an appointment for me for two months from that point. Prior to my appointment I was sent two forms, one for me and one for someone who had known me a long time, ideally since childhood. A parent would be ideal. Unfortunately in my case this wasn’t possible so I asked my husband to fill it in. The forms focussed on my strengths and weaknesses. Mine took around an hour to fill in, my husbands was about the same length. I was diagnosed in a single three hour appointment. Often this is split into two one and a half hour appointments roughly two weeks apart. I took my husband with me. During the appointment the consultant, a learning difficulties psychiatrist, asked me lots of questions. I can’t remember them all but I do remember he asked me about friendships, day to day living, and my childhood. He also asked my husband questions, I remember one was would I enjoy just sitting with him and watching the sunset, the answer being no as I would get edgy and am not able to relax in this way. I would suggest answering all the questions honestly, and being as detailed as possible. Next he asked me to ‘read’ him a story from a picture book with no words. Finally he asked me to create a story using objects chosen from a selection of things. There were objects like a cotton reel, toy car, tiny paper umbrella etc. I was worried about this section as I am good at making up stories. However he was looking more at how I interacted with him whilst telling the story, and how I used the objects. In my case I didn’t interact with him as you would expect and also used the objects literally rather than making them into other things for the purpose of the story. Finally the consultant left us to consult with someone else, he told me he likes a second opinion before getting a final diagnosis. I was diagnosed with autistic spectrum condition at the end of this appointment. This caused mixed feelings and started a process of exploration, and self discovery for me. Not an easy journey but a necessary and ultimately a helpful one. I have acquaintances who have been through this process and not received a diagnosis. This is also incredibly hard, as knowing you have autism is a confirmation that non of this is your fault, you are not broken and there is a reason for your issues. Not getting this conformation can be devastating for some people. Honestly I’m not sure what the answer is for those people. Obviously a proportion of these people do not have autism, and will need further investigation to figure out what is causing their difficulties. However some of those people, particularly women, are perhaps more difficult puzzles to figure out, a lifetime of undiagnosed autism can cause a complex tangle and figuring out their autism might prove more tricky. For some of these people self awareness and their self diagnosis of autism is enough. For others you can request a second opinion via the NHS or you could consider private diagnosis. If you’re considering pursuing an autism diagnosis as an adult then I wish you the very best. Feel free to comment if you have any further questions. Filling the forms out for Bex. I was met with a negative response and a you don’t know what you are talking about…an old fashioned description mainly describing traits within boy’s. I have taken since we met in the Spring to get this far. I think they are amusing me by giving me the forms, I doubt they will even score it. I shall wait then try the G.P entry instead. Just to cross or tick it off as I don’t want Bex to have to go through what you must be having such a late diagnosis. Sorry to hear you’re not being taken seriously. Unfortunately diagnosis of autism is still very much geared towards male presentation. 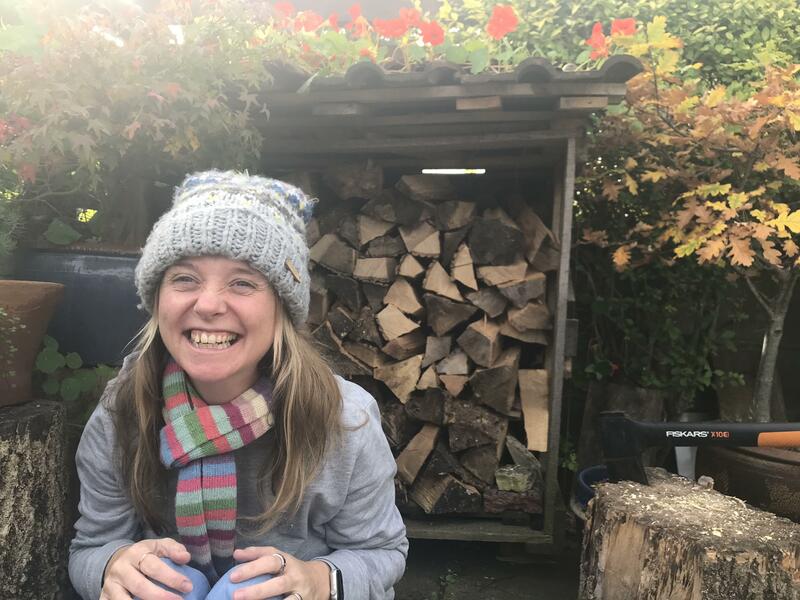 Keep going because as you say it’s important to rule out as Bex will do so much better if she knows why she has the issues she has – whatever the reason is.